Stay fresh with your Lead Climbing skills and then refresh yourself afterwards with a drink. Our Lead climbing instructors will be there to host, give you climbing tips, and share a beer with fellow lead climbers. Come together at BKB for an event focused on healthy relationships, healthy bodies and awareness. This event is a fundraiser to support VDAY.org, an organization working to stop violence against women and girls throughout the world. We're hosting an evening full of activities geared towards building togetherness and awareness between all genders, honoring our similarities and our differences, and aligning our strengths to support one another. This event is a fundraiser to support VDAY.org, an organization working to stop violence against women and girls throughout the world. A 30 minute meet and greet to get to know your fellow attendees and instructors followed by a short talk about the goals and vision of VDAY.org. Instructor Jenn Falk will guide the group through a 15 minute yoga warmup to warm the heart and soul and awaken our compassionate spirits. Jenn has been teaching yoga in the Boston area since 2006 with a focus on the cycles of the moon, women and mother's practice and alignment with nature. Instructor Jason Dedham will be leading us through a 15 minute meditation to raise our awareness and open our hearts to compassion. Jason is a yoga instructor at BKB with a focus on meditation and mindfulness. Licensed Massage Therapist and holistic healer, Emily Taylor, will host a workshop on compassion and empathy and how to use compassionate touch to heal and connect one another. Her workshop will end with a Group Roar, a moment to join our voices in power and strength (and get out some stress). 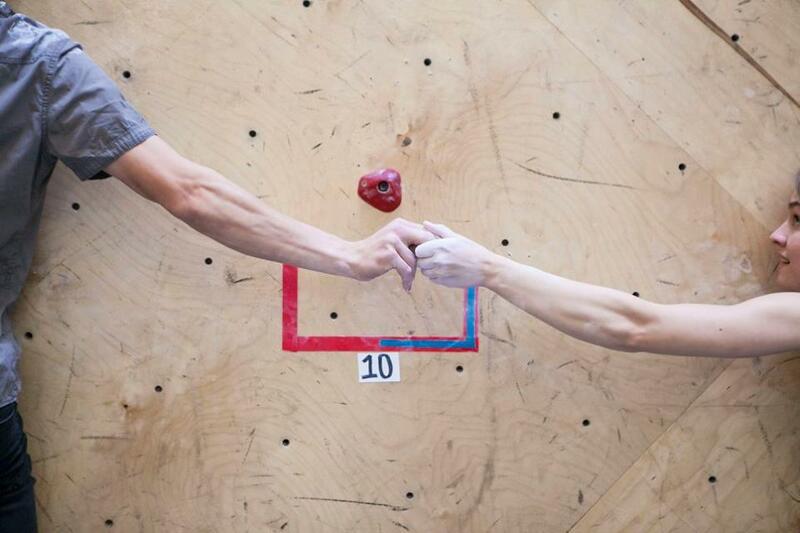 Our setters will be creating some bouldering problems only two people can solve by working together. The first pair to solve all of them wins a one month membership to BKB. All proceeds will be donated to VDAY.org. Suggested Donation of $30 or more. Membership will be checked upon arrival. All proceeds will be donated to VDAY.org. Suggested donation of $40 or more. Can't attend the event but still want to donate? Help us reach our $1k goal!